Super League's chief executive Robert Elstone has described the decision to dock Wigan two points for an historic salary cap breach as 'head scratching'. He described the timing of the announcement, just a day before the launch of the new Super League season, as not being "ideal" - and found the severity of the punishment was baffling. 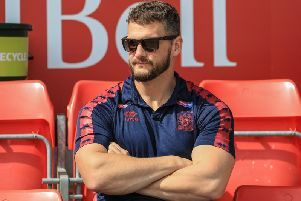 Speaking for the first time on the issue ahead of his appearance on Rugby AM on Wednesday evening, Elstone has sided with the Super League champions ahead of their planned appeal. He told Rugby AM: “I think the overall decision is probably slightly more perplexing than even the timing of it, where what I think everyone will agree is a relatively minor breach to go straight into points deduction. “I’ve heard lots of words used to describe that but I think the most accurate one is ‘perplexed’. There is that real scratching of heads as to how you arrive at a two point deduction." An independent tribunal featuring a judge and two ex-players ruled on Wigan's breach, fining them £5,000 - half suspended - and docking them two points for breaking the 2017 cap by £14,700 in undeclared payments to agents. Wigan chairman Ian Lenagan has apologised, blaming an administrative error, but said he planned to appeal the points deduction. Rugby AM is on at 6pm on Freesports (freeview, Talktalk & BT TV: ch.64, Sky: ch. 424, freesat: ch.252).